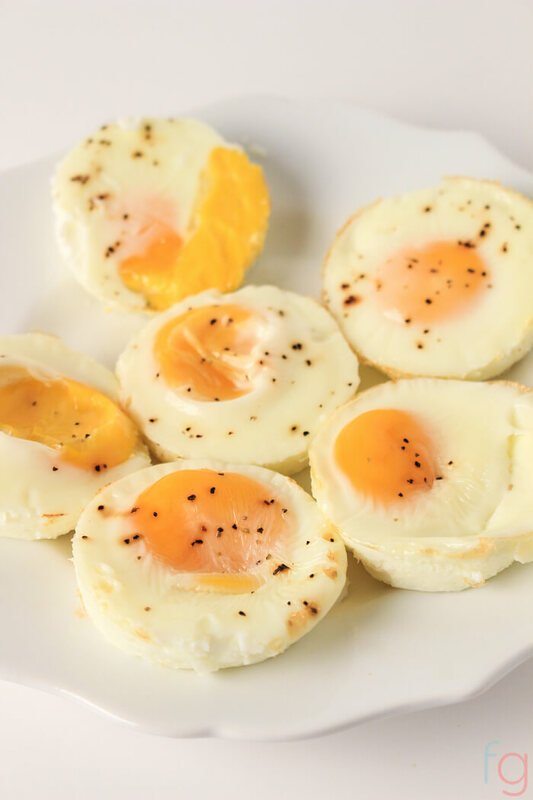 This oven baked eggs recipe is an easy solution for rushed morning breakfasts! 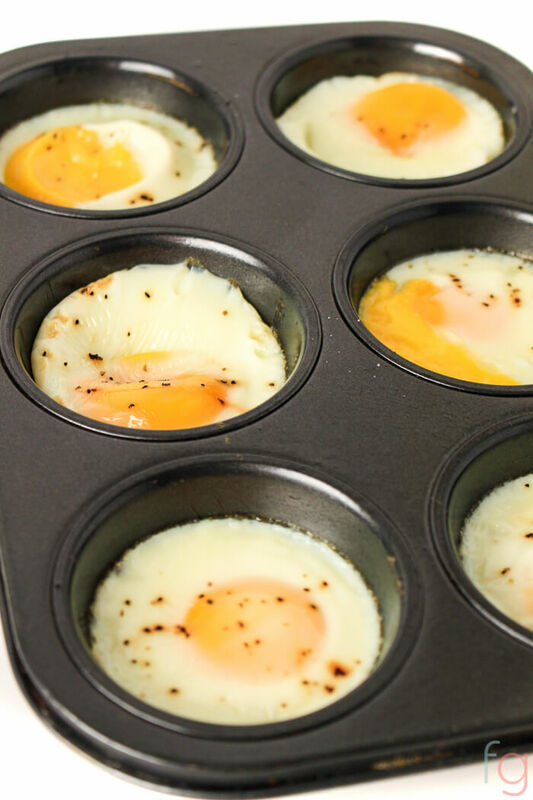 These muffin tin eggs are ready in just 15 minutes. I’ve been making these egg muffin cups for the last few weeks. I bake them in muffin tins as soon as I come home from the grocery store. It’s now become part of our current weekly routine and it’s likely to stay that way for a while, since my husband and I look forward to our homemade egg “mcmuffins”. You don’t need much at all to make these muffin tin eggs and I bet you have everything you need in your kitchen right now. Crack eggs into a lightly greased muffin tin. Sprinkle a bit of salt and pepper onto the eggs. Bake at 350F for fifteen minutes. You can cook these a little longer depending upon how hard you prefer the yolk. Remove from oven, let cool. Use a spoon to scoop out each egg and transfer them into a food storage container. Store them in the fridge for up to four days in an airtight container. Absolutely! In fact, please add in some finely chopped vegetables as well! Increase your baking time to about 20 minutes though to ensure it is completely cooked. You bet! Enjoy, my friends! How many WW Points are in each one? Updated in 2018. 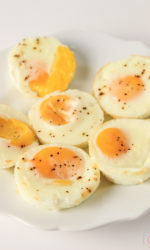 Under Weight Watchers’ Freestyle program, eggs are considered one of the 200 foods that are zero points! That is something to celebrate there! We typically serve them egg mcmuffin style. We’ve tried placing the baked eggs on bagels, english muffins and regular bread slices and found that it’s the perfect fit for an english muffin, since you’re able to get a bite of egg every time. To make our breakfast sandwiches, cut a toasted english muffin in half. Place the egg and a slice of cheese on top. Close the sandwich and microwave it for about 45 seconds. It is perfectly warm and gooey every time. And best of all, breakfast is served hot and ready in the time it takes me to pour a cup of coffee. Diced with pre-made rice and salsa. It’s like a little breakfast burrito bowl that comes together in about a minute! In a bowl with sliced red peppers, cucumbers and tomatoes. With mix-ins like sautéed mushrooms, onions, and peppers. With a batch of hash browns and the muffin tin egg on the top. Place a hot egg on top of a thick slice of beef steak tomato and salt and pepper to top it off. Place an egg on a plate and add slices of avocado on top. Alone – no fuss. Even though they’re only seasoned with salt and pepper, the baked eggs are pretty tasty on their own and sometimes we just like to eat one or two individually for breakfast. This is a huge time and money saver – one minute of work (cracking the eggs into the muffin tins & adding salt & pepper) saves us the temptation of going to the drive-thru for breakfast (not that it’s a regular thing around here – but we’re easily tempted on busy mornings) and we save a nice chunk of change in the process. This oven baked eggs recipe is an easy fix for rushed morning breakfasts! 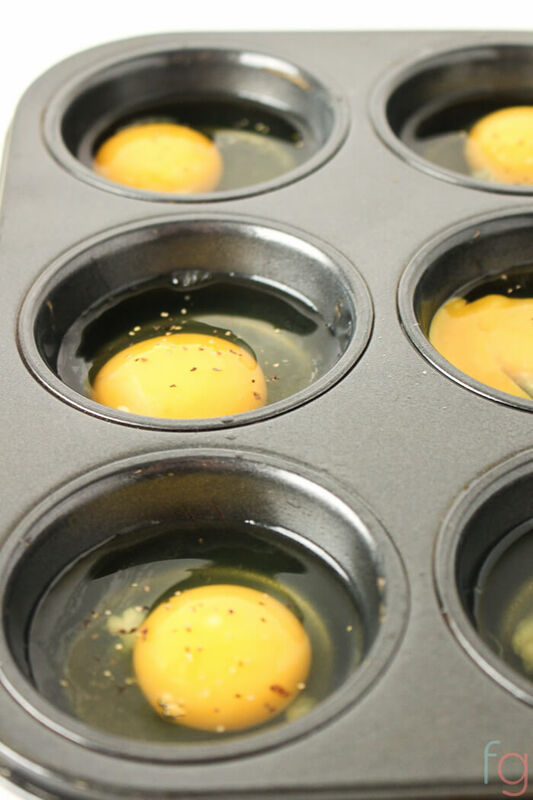 These eggs are baked in muffin pans and are ready in just 15 minutes. Bake at 350 for fifteen minutes. Remove from oven, let cool. Use a spoon to scoop out each egg and transfer them into a food storage container. Store in fridge for up to four days. Zero Weight Watcher Points under the Freestyle program. 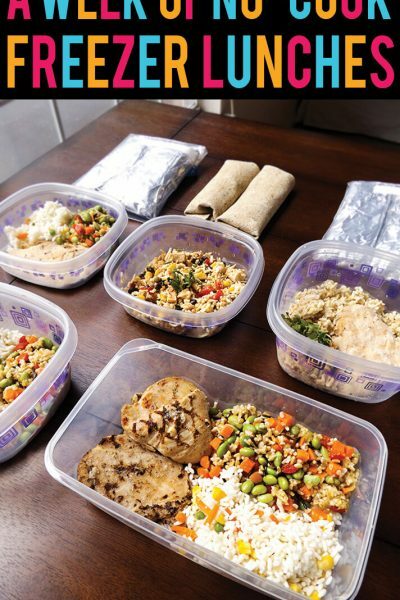 Need more make ahead meal ideas? 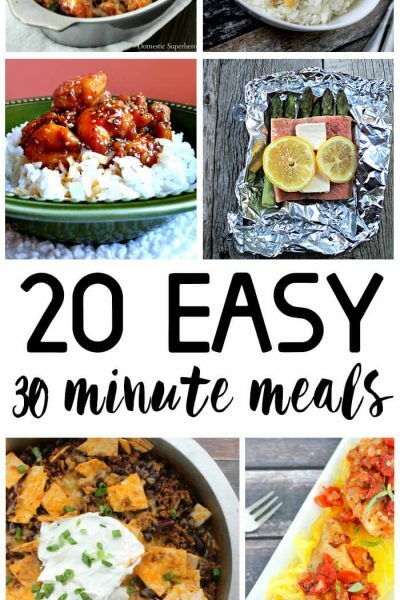 Once a Month Meals has lots of ready-to-go freezer menu plans (Vegetarian, Gluten Free, Paleo, Instant Pot and more) and lets you customize your own menu plan. I have never tried this, but I will now! Great alternative to cereal day after day! I’m pretty sure that she used a regular sized muffin tin. Hi Stacy, I did use a regular size muffin tin – it wasn’t a jumbo or mini so you should have no issues. I just baked some up for this week (haven’t taste tested), but my regular tins are taller than yours. The eggs are about 1/2 the diameter and twice the height. I’ll just not make a sandwich out of them; I’m sure they will work great as a on-the-go breakfast either way. Have you tried a woopie pie tin? I just got one for the size and shape of a breakfast sandwich. ? 🙂 Such an easy idea but it makes a world of a difference in the mornings. Oh I can’t wait to try it with your secret ingredient! They are the perfect size for English muffins – when used on regular bread and bagels there’s just a bunch of awkward egg-less space on the bread haha. I’d like to try them with one of those “muffin top” pans , then they might be wide enough!! I’ve tried doing this with different vegetables, cheeses, and meats. If you add ham or sausage, some peppers and onions, and some cheese, it’s like a mini omelet. When I do this, I definitely mix up the yolk a little bit. Oh! This was just what I wanted to hear. I don’t like yolks soft and runny, so I was thinking about breaking it up a bit and baking it just a little longer. Do you know if they are freezable like that? Do you microwave the sandwich uncovered on a plate or wrapped or covered in paper towel? Great idea here….excellent! We do eggs in the microwave on an as needed basis. You use a regular coffee mug, coat it lightly with a spray oil to prevent sticking, crack an egg into it and scramble with a fork. Cook for around 1-2 minutes (depends on your microwave) and you have a perfect round egg to fit on a english muffin or biscuit. I could see that doing several at once in the muffin tine would be a bit more of a time saver and nice if you want a solid yolk as you wouldn’t have to scramble (you need to break the yolk I’m pretty sure for zapping in the microwave to prevent spatter). You’re actually the second person to recommend that this week (cooking eggs in a mug). I think that is such a smart idea! This sounds like a great idea! I have seen people make breakfast burritos and breakfast sandwiches, fully assembled, then wrapped in tin foil and put in a freezer bag in the freezer. I haven’t done this yet, but I have been thinking about trying to make a bunch and put them in the freezer, because my family LOVES egg sandwiches. Would love to hear how it goes for you! I was just going to ask about putting them in the freezer. How do they taste? I am always running out the door in the morning and then stopping for my favorite Sausage Mc Muffin from you know where and they cost so much. I am trying this for next week. 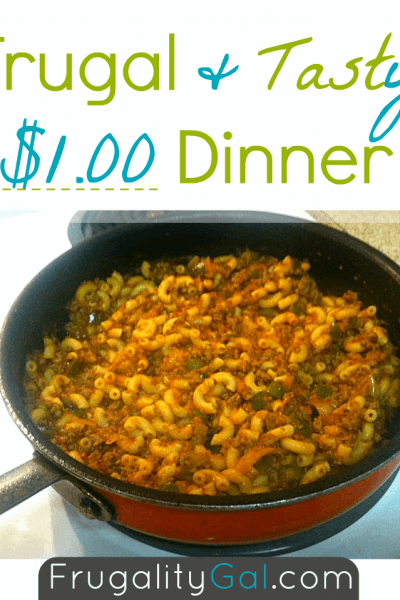 I am so excited about the possibilities of eating healthy and saving a dollar. What an awesome idea. I have to start making those to save time. What a fantabulous idea!! I’m totally doing this for hubby. He usually leaves for work before I even wake up and this would be a nice treat for him in the mornings since he’s usually limited on how much time he has to make himself something for breakfast. Great idea! I think these would work well to warm up in our toaster oven too. Thanks for sharing! Wow! These are perfect for McMuffins!! We will have to make some of these! Just curious if anyone has tried freezing these yet? I cook eggs in muffin tins, let them get cold. They freeze well, however when you defrost or heat them in the microwave, you get water in your saucer from the eggs (I do two at a time for my grandchildren). So, I heat the eggs, then wrap biscuits, English muffins, etc in paper towels, heat, and then put the hot egg in whatever I am using. Hope that helps. I haven’t kept a week or so in the fridge; figured healthier if frozen and heated. I have made these twice. I did get a tart pan-bigger than a muffin tin so there is egg on all the english muffin. Next time I am going to break the yolk and see what happens. Great and quick idea. Has anyone frozen these yet? Bridgid commented below that she freezes them with no issues. Great tips, Bridgid! 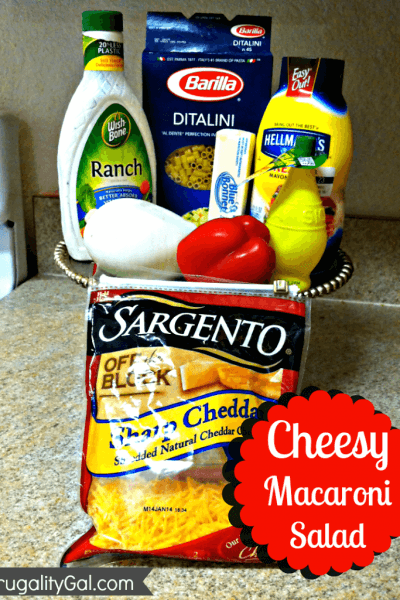 I love the idea of adding additional ingredients! I put them over lettuce or smashed avocados….sounds weird but tastes delicious especially if you’re a low glycemic eater. I also add some salsa on the side. Works well if you take for lunch too. That sounds delicious, Kim! I’m super curious about the smashed avocado. Will have to give it a try. I have made freeze ahead egg mcmuffins before and they were fine EXCEPT the condensation from freezer to warming made the muffin a little soggy for my taste. This method I think I love much more because it would taste fresh and the muffin could be toasted. I had much better luck freezing burrito’s. This method certainly does add to maintaining the freshness! Does it matter if the egg yolks aren’t completely cooked? I have never had an issue eating them that way straight off of the skillet or whatever, but my husband was concerned that it might make me sick. I can’t wait to try it though, it will make my mornings much less stressful! I make egg mcmuffins a dozen at a time & freeze them for my husband. We microwave the eggs in ramekins (break the yolk first!). I then slide the eggs onto half an english muffin with a slice of cheese and a slice of canadian bacon. It ends up costing me $6-7 for a dozen of them, so a HUGE savings! Looks yummy!! So if I do want the yolk runny, but the white done, how long do I cook them? I’d try 13 to 15 minutes. We cook them for about 15 minutes and the whites are fully done but we still usually get a runny yolk. But some of the yolks rebel and turn out fully cooked. So maybe short the cooking time by a minute or two. Any ideas for reheating these if you don’t have a microwave? A toaster oven or an oven would work just as well. Unfortunately, I can’t tell you how long to reheat for using those methods. But I would give it only a few minutes. i make these a dozen at a time and then put them on english muffins with turkey sausage or turkey bacon and a slice of cheese. I page each in parchment paper and then throw them in a gallon size freezer bag. Just pop them in the freezer! The night before I take out as many as I need the next day to thaw in the fridge a bit still in the parchment. I usually toast mine in the morning in my panini press while brewing my coffee. It easily fits a couple. They come out nice and crisp! Thanks for this amazing idea! We tested it out tonight and it turned out great. My estimates show that it will save our family between $300 and $400 a year! I never would have thought of that. what a cool idea! I will have to try this because we love eggs in our house! Great idea! I just made some with dill and green onion sprinkled on top. I baked some Pilsbury buttermilk biscuits at the same time and topped the eggs with feta cheese when they came out of the oven. So good! Thanks! You’ve just got a new Brazilian fan! 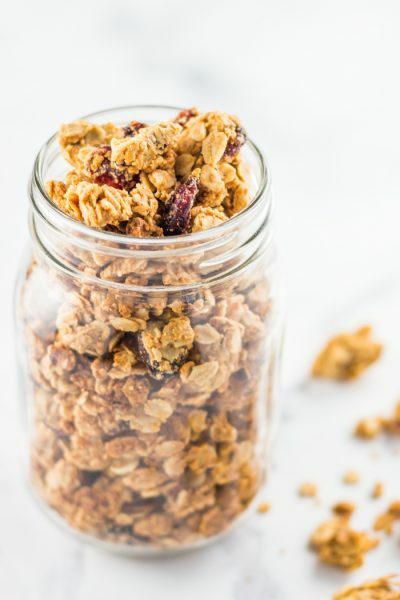 This recipe (and several others) are just what I was looking for regarding a healthy and quick breakfast! Have you ever tried re-heating the eggs without the bagel? Just the egg? Do they “explode”? Any ways to avoid “explosions” and getting the microwave dirty? Have made egg muffin cups many times but always by mixing up a big bowl of eggs, adding salt, pepper, dill and chives. I place a small amount of cooked, crumbled sausage or chopped bacon in each muffin tin, top with shredded cheese and then pour in just enough egg “batter” to fill the cups. We leave some out fresh and freeze the rest. 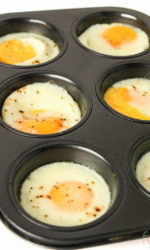 BIGGEST TIP I can give – no matter how you do your eggs in muffin tins – highly consider investing in silicone muffin pans. No matter what I tried I always ALWAYS ended up with a muffin tin from your you know where after the baking process. Bits of egg that would NOT come off. I would give up and hide the muffin tins in my dishwasher until I had time to pull them back out again and scrub some more. UGH! I finally broke down and ordered some silicone ones from Amazon and I’ve gotten great use out of them for this recipe and many others. Just my opinion – but in my particular case the $ for the pans were SO worth it! I love the idea of baking the eggs! !I haven’t done that but I have a microwave cooker that makes the eggs round an neat, to fit on an Eng muffin. I saw a Pinterest recipe a round Morningstar Farms ‘sausage’ on top,and wrap, frozen. You can also line the muffin tin with ham. I use the deli style oscar meyer. Really good! One thing, I did 400 degrees for 20 minutes and one of the eggs still had some slime on the top. Has anyone figured out a way to avoid this? P.s. Muffin top pans work really well too. These are great! I usually add cooked cut up bacon after the eggs have been in the oven for 10 minutes, then bake another 7 minutes. Kids love them as a snack or as they are running out the door in the morning. GREAT TIME SAVER! Thank You So Much! These definitely are a time saver. I’ve made them in muffin tins for some time. I usually bake the eggs, cook either Canadian bacon or thin peameal bacon (cut to size), use either cheese slices or sliced hard cheese and I toast the English muffins. Once everything has cooled I assemble everything, I wrap each one in plastic wrap and put them all in a large Ziploc freezer bag. Once they are all frozen, I take them out and put several in a food saver bag and then seal them. When I want one for breakfast, I take them out the night before (need a good 12 hrs to properly defrost) and defrost in the fridge. Using the food saver they don’t get ice on them (which results in soggy muffins). I heat them in the microwave for 30 seconds, turn them over and then another 30 seconds (depends on the microwave). I find that by turning them over they reheat more evenly. Made these for breakfast and scrambled a few with a fork n left the rest whole. Instead of salt, I used garlic salt and pepper. 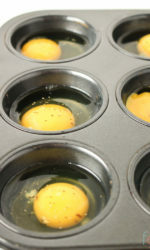 Sprayed muffin tins with Pam and removed them by using a knife to go along the outside of the eggs to get them out easier. Kids loved them, so I will be using this recipe again. I spend a bit more time on mine but similar in plan: I use silicon muffin shapes. I add to them either ham or bacon (leftovers from a weekend breakfast) and add a piece of cheese (something with flavour, med cheddar) and either spinach or onions. Then I’ll whip up 11 or 12 eggs and pour enough to fill the muffin cup. Bake for about 15 minutes at 350. If you overcook, they turn grey like overcooked boiled eggs. Hey Shelly! A few people have commented that they’ve frozen them and had good results! Say if i wanted to have these for lunch on some toast…can i just reheat in the microwave no fuss? Do they taste rubbery after being reheated? I had a problem with how thick these were in my muffin pans so I got a muffin top pan (only room for 6 but I am the sole egg eater here). I use salt, pepper and bacon or turkey bacon bits for additional flavor/texture. Toss on some deli cheese. The eggs perfectly fit my protein and fiber bread thins! Thanks so much for the tip I would never have thought about shirred eggs prior to reading this! Amber, what a great idea! I love the thought of using the muffin top pan. Thanks for the great idea! How long do u cook if you don’t want the eggs runny? Terri, each oven is different but start with 8 minutes and keep your eye on it to the 10-12 minute range. You will find that magic spot for your oven and how you like your eggs! !